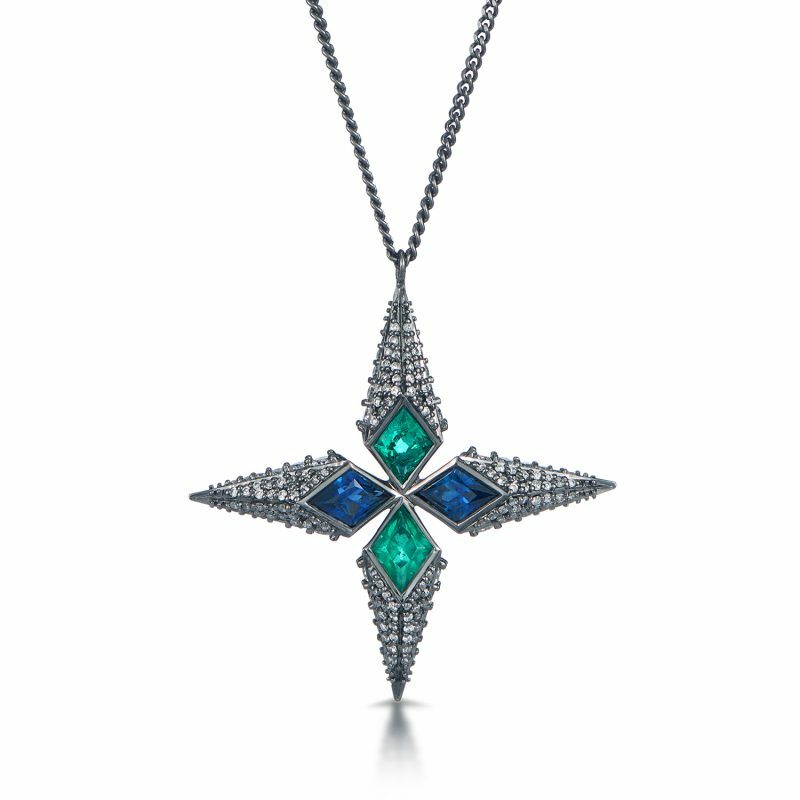 The Trinity Necklace in Black Gold is a necklace in 18kt black rhodium plated gold, set with emerald, blue sapphire and white diamonds. The necklace’s elaborate and intricately complex design undeniably demands one’s attention. Part of the Trinity Collection by Leyla Abdollahi, inspired by and conceived out of Leyla’s fascination with the mysterious world of astrology and divine geometry. Arrays of geometrical crafted gemstones with blends of spirited color such as tanzanite, white and champagne diamonds, blue sapphire, white opal and emeralds are dramatically used with prevailing harmony and rhythmic alignments throughout the collection. Leyla Abdollahi is currently one of Britain’s hottest new Fine Jewellery Designers. Nominated for Jewellery Designer of the Year at the 2012 UK Jewellery awards, Leyla’s seductive creations using precious diamonds and coloured stones have a unique edge that appeals to confident sophisticated women drawn to striking jewellery, with a story to tell..